Looking for a gorgeous twist on the Hourglass design? You've just found it! 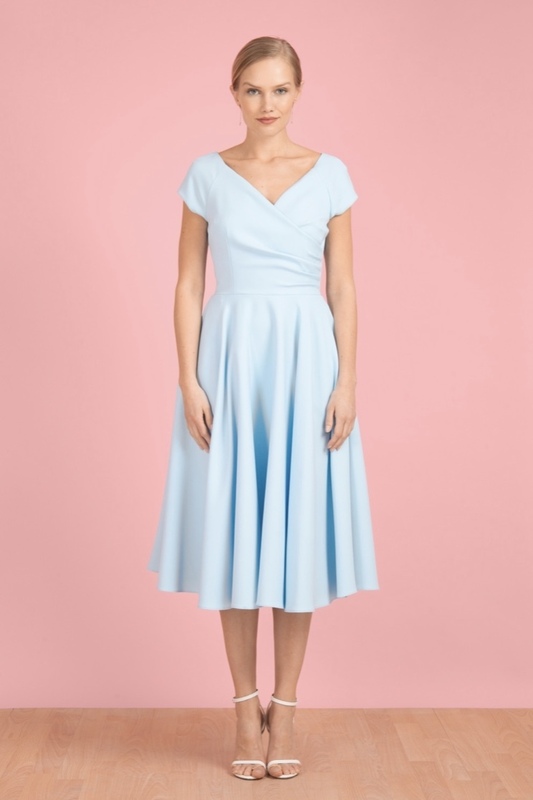 The Hourglass Swing features a faux wrap and stretch control lining, the dress will nip you in at the waist whilst the full circle swing skirt flows over your hips. 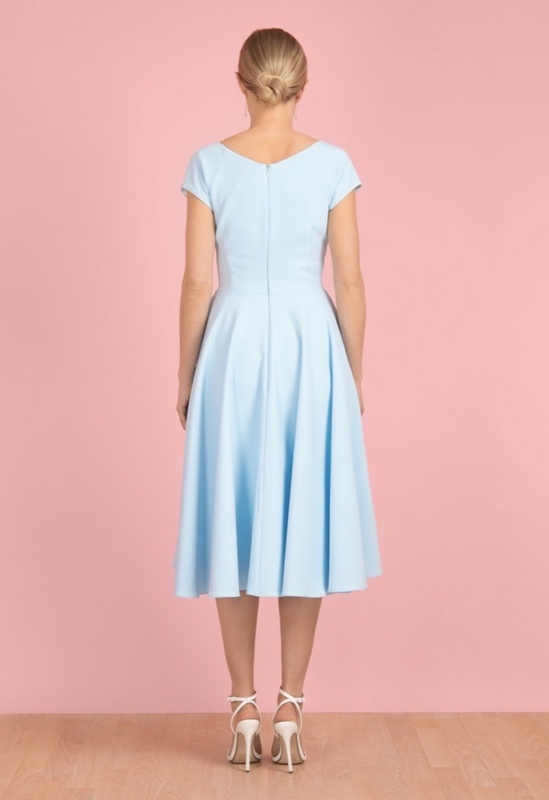 The dress is created with our luxe crepe which has a light stretch to it, it also features pockets, a concealed centre back zip and it's even fully lined!